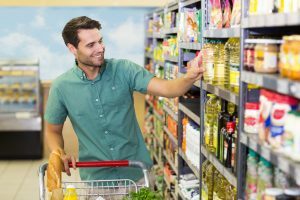 How can local food brands capitalize on Grocery Shopping Male? This isn’t exactly “new” news but Dad has found his grocery cart and he is not afraid to use it! The grocery shopping male has turned a corner in the marketplace. We’ve seen that an average 49% of men are taking up shopping duties in a Hartman Group report back in 2015 and more recently in a 2017 VideoMining report. The subject was expertly briefed by Dive Magazine‘s Caroline Macdonald (@CScottThomas) and Progressive Grocer last year in articles primarily aimed at retailers. Just what does all this mean to the smaller, emerging local or regional food brand? It may take some looking between the lines some but the answers are all there. It gives food brands who are used to creating products and packaging aimed at how mom shops and a chance to position for dad. Is your packaging ready to grab the grocery shopping male? Advice from The Hartman Group: Accommodate the Male “Search and Receive” Mode. Think of your packaging and product presentation appeal. Drawing on our well-worn perceptions, mom is more likely to arrive prepared with a list and a large grocery cart for a big weekly shop while Dad, on the other hand, is going to hit the store with his head on a swivel looking for the basket at the entrance to zip through the store grabbing what he came for plus (as almost every report agrees) whatever else catches his eye. Counter to Mom’s comparative shopping and list-driven tactics, Dad is not as sensitive to price. He, most likely, isn’t scouring social media looking at recipes or clipping coupons. This plays right into a common local food issue: higher prices linked with smaller production run sizes. We’ve said this before: National will beat local on price because of gargantuan run sizes, shelf life because of mountains of preservatives, and brand awareness. So local should counter with small-batch positioning, transparency on product ingredients and a community building from their regional power base. 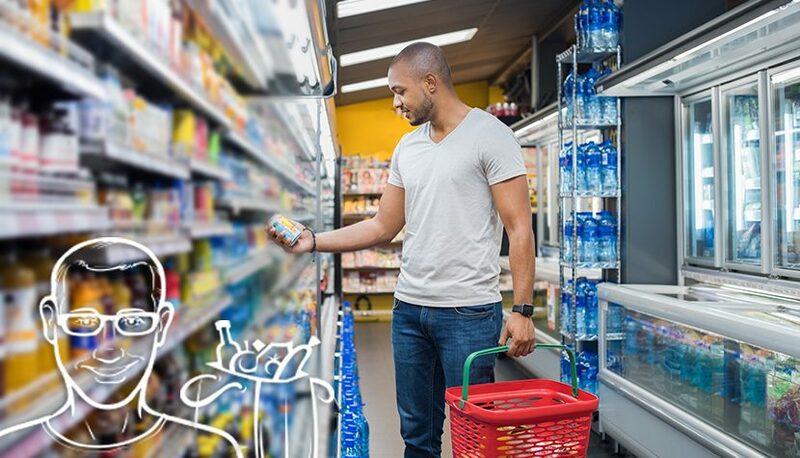 Smaller, emerging local or regional food brand need to not only be aware of macro trends like the grocery shopping male, they need to know how to use this trend to their advantage. Maybe tap the breaks and consider current food packaging aimed at how mom shops and how it can be positioned for dad.